Before there was Zippy the Pinhead there was Mick Jagger. At any rate that is how it was in the life of Bill Griffith, creator of the Zippy daily cartoon strip syndicated in hundreds of newspapers in the United States and beyond. Zippy is the sort of person for whom 'care in the community' is designed; he is vague and disconnected and slightly saner than what passes for correct thinking in the world around him; a sort of wise fool. Often he appears with Griffy, who is Bill's alter ego. But Zippy was 'born' only in 1971 and became a regular strip only in 1976. Before that Bill did 'art', though to my personal knowledge he was also drawing mushrooms and Mick Jagger. 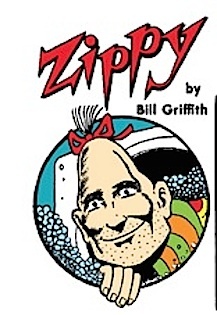 Zippy makes sense of the world for Griffy, Bill Griffith's alter ego. 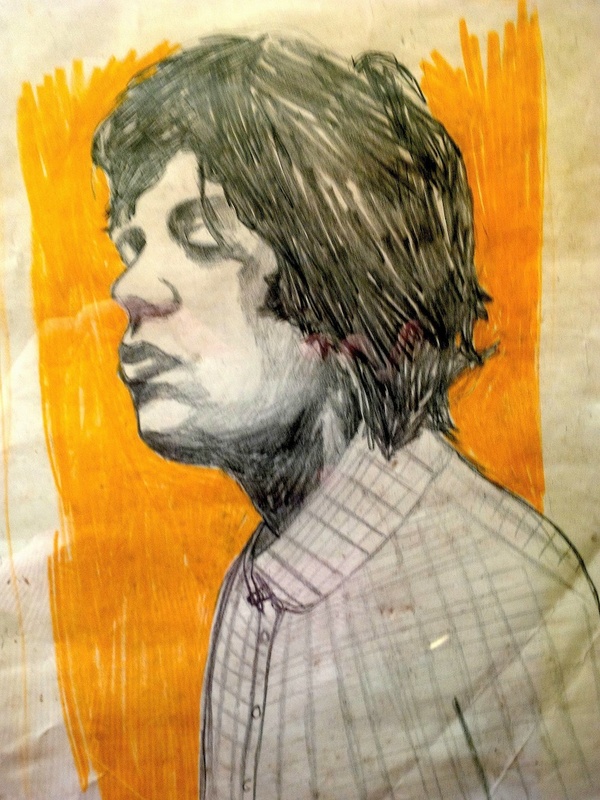 Bill did this drawing of Mick Jagger in Manhattan in 1965; we had just been to see the second Beatles film, Help!. Bliss was it in that dawn to be alive. 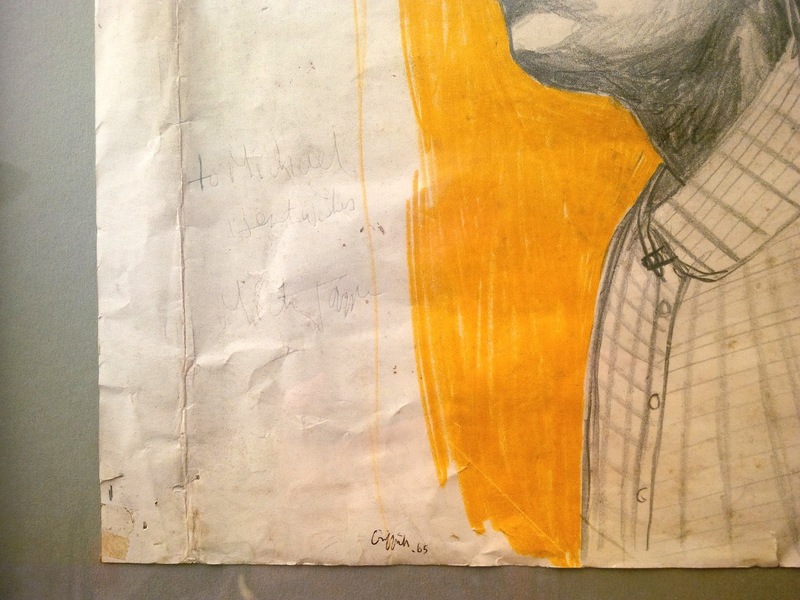 I liked the drawing very much and Bill unpinned it from his easel and gave it to me; I took it back to London and tucked it away. A few years later I fixed it to the wall of my garden shed where I was writing at the time. Chris Jagger came round and liked it and passed it on to his brother Mick to sign - faintly, as it turned out, in green pencil. 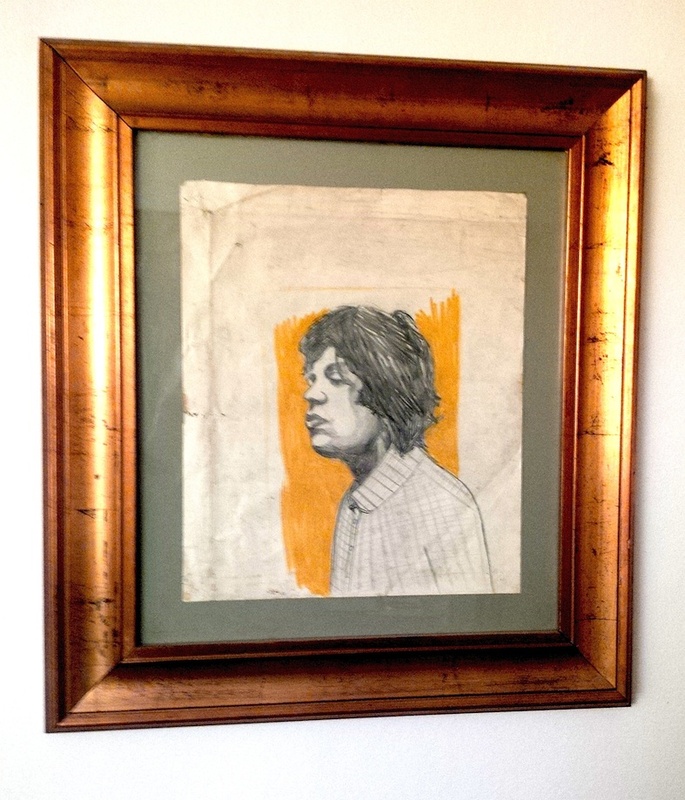 After that I decided to frame it; I like the gilt wooden frame holding Bill's rough sheet of drawing paper, and I like seeing the signatures there, Bill's in New York in 1965, Mick's later in London, marks of passage. I have a stinkhorn mushroom somewhere too, also drawn by Bill. Signed by Mick Jagger, above, and Bill Griffith, below. But Bill has moved beyond Jagger and mushrooms and flowers in vases to Zippy the Pinhead for which he is most highly regarded as this recent review of Bill's work by Paul Di Filippo explains. Contemporary readers of Bill Griffith's comic strip, Zippy the Pinhead, know with certainty that the illustrator is one of the most accomplished draftsmen working in comics today, his talents on a par with those of Robert Crumb. His art -- nuanced shading; economical linework; evocative textures; fidelity to dress, gesture, expression, architecture, automotive design, and the thousand and one other accoutrements of modern life -- is an unfailing daily marvel, especially considering the speed and regularity at which the strip is produced. You know how to whistle, don't you?